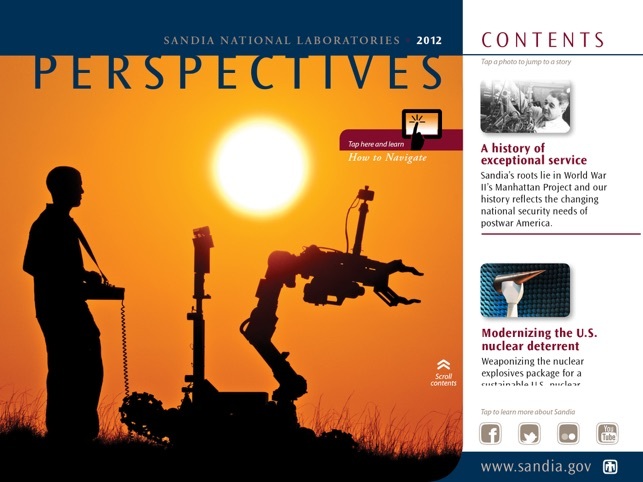 Experience our digital publication library on the iPad with insights into the cutting-edge national security and technology innovations at Sandia National Laboratories, the nation’s premier science and engineering laboratory. Sandia's digital publications offer stunning imagery, video footage and descriptions of latest developments, applications, research areas and missions, along with information about how you can build a career at Sandia. 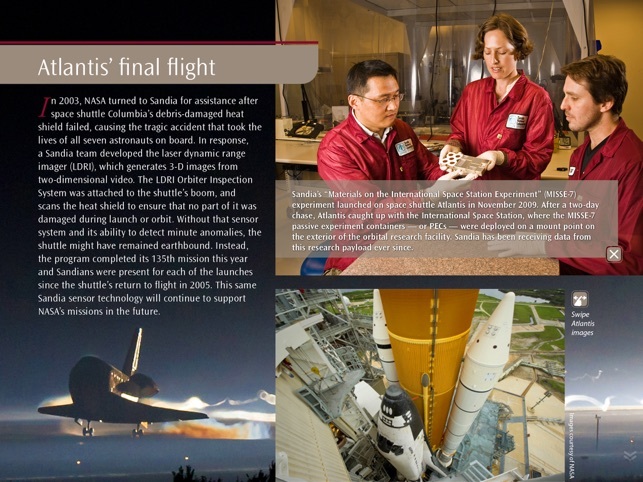 • Easy-to-use navigation that puts stories about mission and research areas at your fingertips. 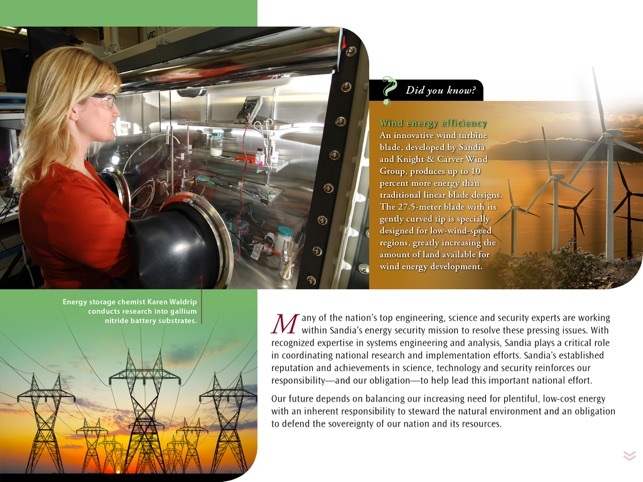 • Direct links to Sandia's newly launched website and popular social profiles including Sandia's Flickr photo gallery. 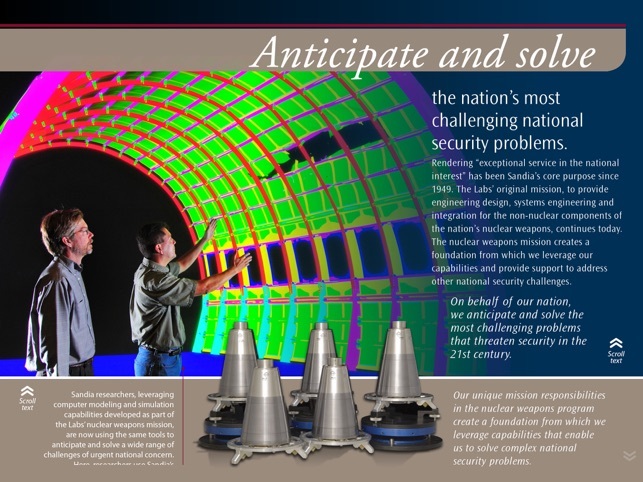 • High-definition videos of Sandia’s work. 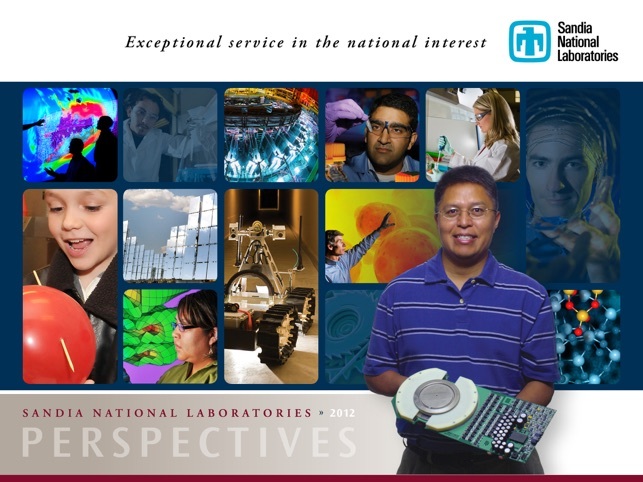 Although most of Sandia's employees work at its headquarters in Albuquerque, New Mexico, or at its second principal laboratory in Livermore, California, others are working at various sites in the U.S. and abroad to deliver innovative and reliable solutions in a changing world. 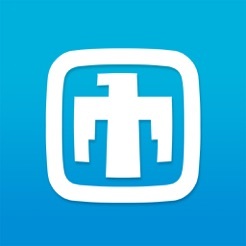 © 2012 Sandia Corporation. All Rights Reserved.